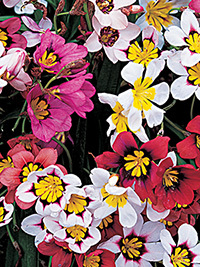 Flowering from early spring, sparaxis love a warm, dry location. They will thrive in difficult areas such as under hedges or against the northern wall of a house. Minimum order 25 bulbs.